On March 20th, 2019, Assoc. 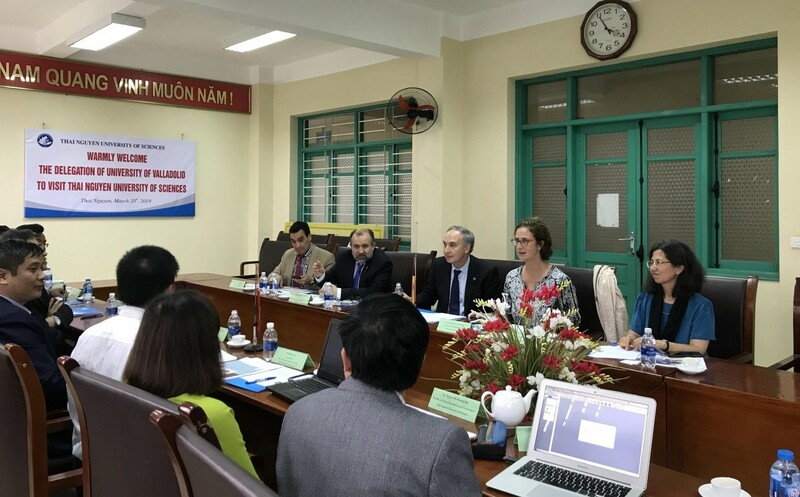 Prof. Nguyen Van Dang (TNU's Vice Rector) and representatives of Department, Faculty of TNUS welcomed the delegation from University of Valladolid (Spain) led by Prof. Antonio Largo Cabrerizo (Rector). On behalf of TNUS, Assoc. Prof. Nguyen Van Dang sent his warmest greetings to the delegation of University of Valladolid (Spain). The Vice Rector mentioned about the first visit of Prof. Felipe Bravo Oviedo (Chair and Director of the Research Institute on Sustainable Forest Management, iuFOR) and Prof. Rosario Sierra de Grado (Professor and Coordinator of the Master on Forest Engineering) in October, 2016. 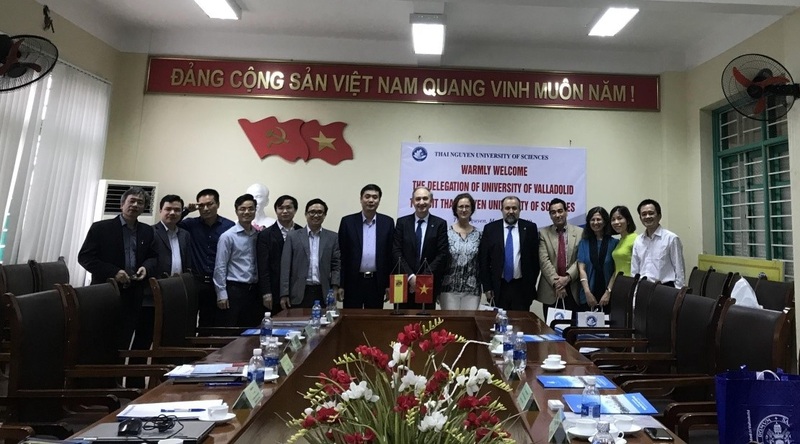 On that basis, TNUS and UVa have begun fruitful cooperation with “the Inter-institutional Agreement between TNUS and UVa” for the exchange of students and/or staff in the context of the Erasmus+ since August 2017. Up to now, there were 03 staffs (02 from TNUS and 01 from UVa) have participated in Staff Mobility Program (For teaching and training activities) and 03 students (from TNUS) have been sent to University of Valladolid as Erasmus+ students. He highly appreciated these programs for creating beneficial exchanges among students and lecturers of both sides. TNUS hoped to continue staff and students Mobility Program as accorded by the Erasmus+ of the European Union. On behalf of the University of Valladolid, Prof. Antonio Largo Cabrerizo expressed his thanks for being warmly welcomed by TNUS. The Rector highly appreciated the efforts and ideas the two sides have been realized. For his part, he said UVa is one of the oldest in Spain, a leading institution of higher education with over 100 degrees, 50 post-graduate masters and 80 doctoral programs. He expressed his strong belief in educational cooperation between two universities in the coming time. 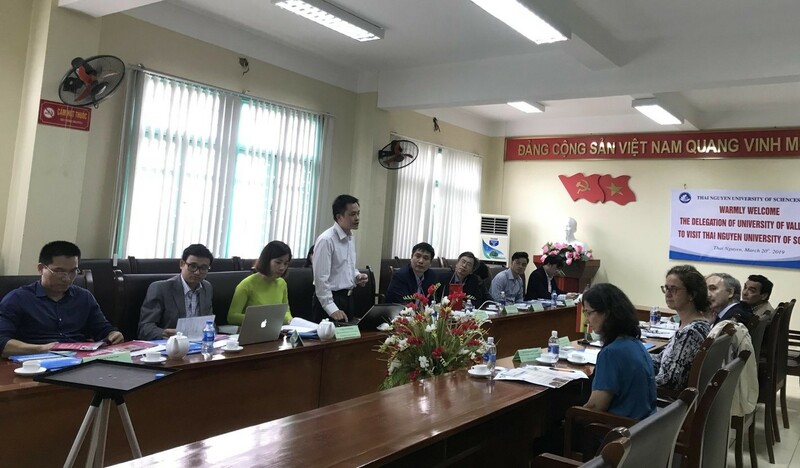 At the meeting, potential collaboration activities as exchanging students and lecturers, conducting common research projects and joint training curricula and co-promoting international publications in the area of Chemistry, Forestry, Mathematics, Tourism, Pharmaceutical were discussed by attendees. TNUS and UVa hoped the two sides would promote useful and thorough scientific and training linkages in the future.